Alexithymia is characterised by an inability to express emotions verbally and by improvished fantasy and imaginal life. Individuals so affected may also experience difficulty in distinguishing emotional states from bodily sensations. Alexithymia is thought of as a psychosomatic disorder since the inability to identify and verbalise feelings may predispose to somatization. The term was coined by Sifneos (1972) but descriptions of conditions with alexithymic features predate this work. Aetiological theories of the disorder have variously emphasised genetic, neuropshysiological, developmental and psychodynamic factors (Krystal, 1998; Parker & Taylor, 1997). Like Alexithymia, Asperger’s disorder is also characterised by core disturbances in speech and language and social relationships. 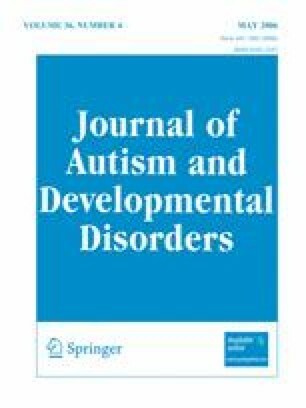 Here we aim to demonstrate that there is considerable overlap in the clinical presentation of persons with a diagnosis of Alexithymia and Asperger’s syndrome. Dr. Bellgrove is supported in part by a Wellcome Trust (UK) International Biomedical Research Collaboration Grant on Autism.